Boost conversions and sales on your ecommerce shop displaying product images properly on every device and as fast as possible. 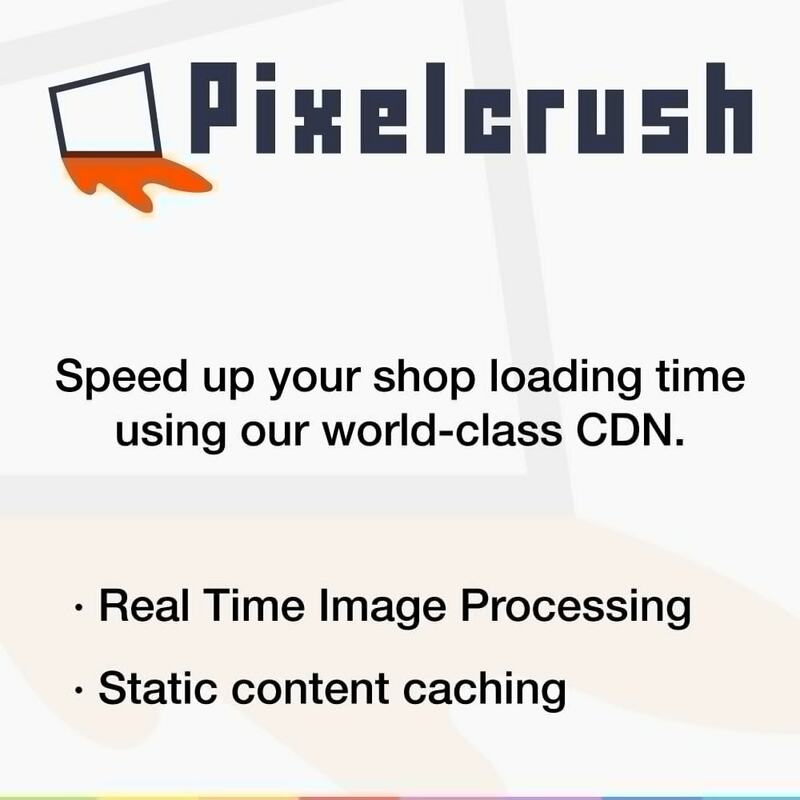 The PrestaShop CDN plugin for Pixelcrush is easy to install and starts working as soon as it is configured. No more offline image processing: use your product catalog images as they are. Resize product images online and in real time. Serve up to 70% smaller file-size images from your 30+ global CDN pop. Faster loading times for images: less customers will abandon the website. Optimize images applying filters such as crop, watermark, noise removal, rotate, etc. Delivers optimized images formats (gif, jpg, jpeg, pjg, pjpeg, png, webp) for any device. Pixelcrush pay as you go service: no more constrained price plans which adapt poorly to your real needs. Smart-cropping and real-time image moderation with a chainable, easy-to-use and expressive JQuery-like syntax. SEO-friendly URLs thanks to our filter, and origin, aliases. GPU aware in-memory software for fast image processing. Pixelcrush works as a proxy for customer’s storage. Worldwide distributed network with DDOS protection for faster content delivery. Simply customize your homepage, category headers and CMS pages using a responsive editor. Program the presentation of your content on PC, tablet and smartphone. Module compatible with all themes, dedicated support team. Pages load faster providing best navigation experience. Images are shown properly on any device/screen (mobile, laptop or desktop). Most suitable images for each product. A Pixelcrush account is required to use this module. 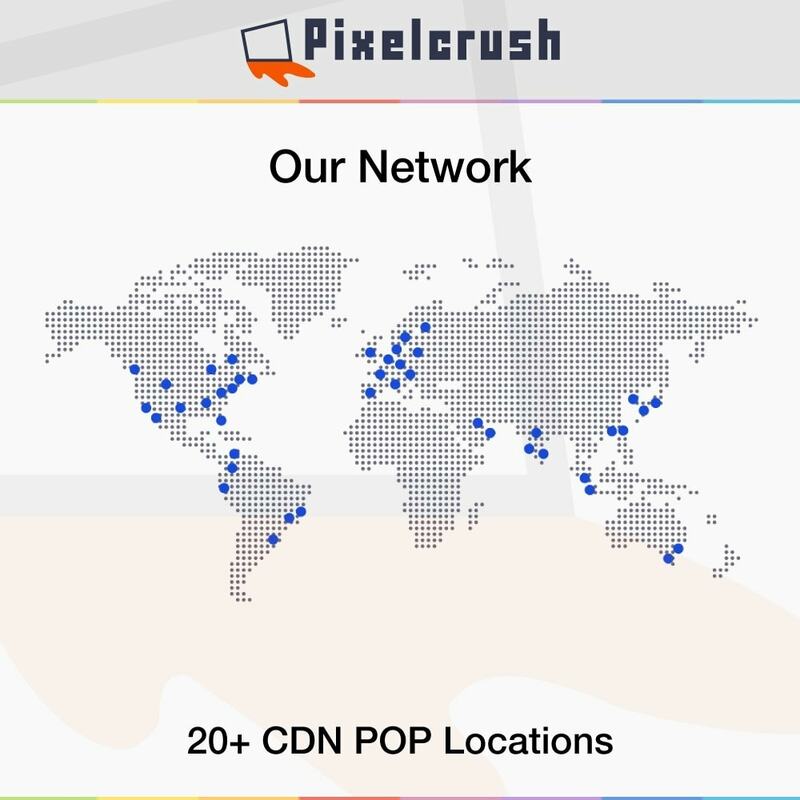 Please create an account in www.pixelcrush.io. 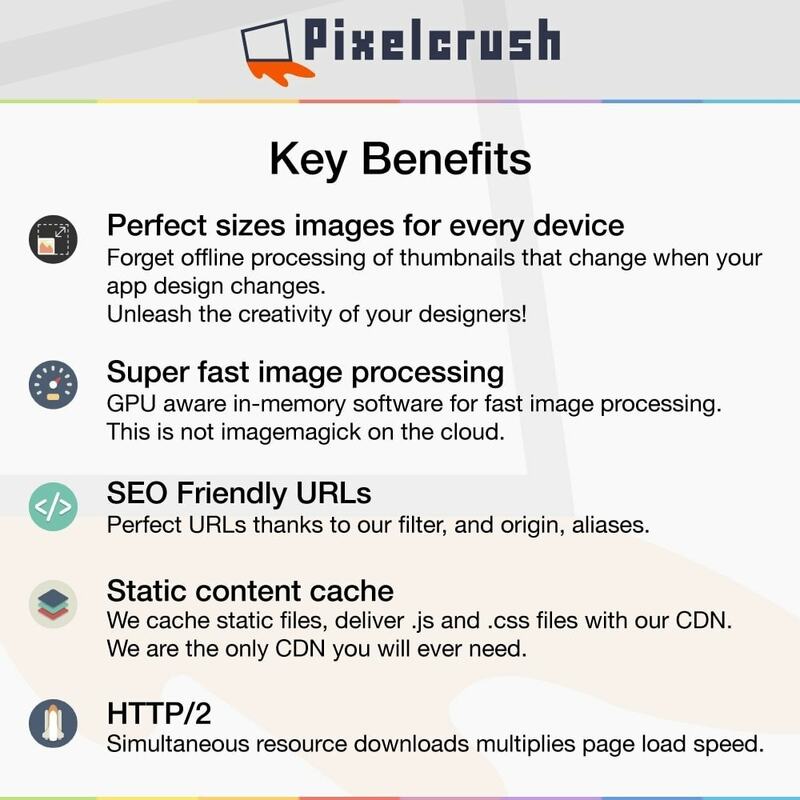 Pixelcrush is a “pay as you go” service, meaning that there is not predefined plans. You just pay for your exact usage of the service. This addon works on all PrestaShop sites. If you need any help, please contact our friendly support team for fast support. Create your Pixelcrush account or login to your existing account. Download the module according to your Prestashop version (zip). Install the module through your PrestaShop backoffice modules section by clicking Add a new module. Enter your Pixelcrush account ID and API Key (located at the Settings page of your Pixelcrush account).